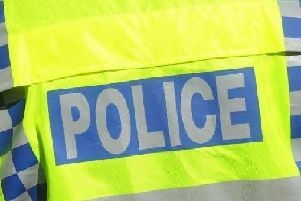 A thief has stolen several items from a house including jewellery, electrical items and shopping vouchers. Between 3pm and 8.30pm on Saturday August 8, the back door of a house in Putnams Drive, Aston Clinton was smashed. A thief stole items including a Mangalsutra wedding necklace, a white gold men’s wedding ring, a woman’s diamond eternity ring and two gold chains with initial pendants. Three pairs of cufflinks, including a personalised pair, two pairs of gold earrings and a set of gold earrings and matching necklace were also taken alongside Swarovski items including a pair of cufflinks, a bracelet, a necklace and a pair of earrings. Also taken were an iPhone 6, an iPad, car and house keys, a digital baby monitor, £50 of shopping vouchers and £80 cash. Police say a man was seen approaching the house at about 6.10pm. He is about 20 years old, white, slim, with short, fair hair and was dressed in smart light-coloured clothes. After three or four minutes he was seen walking into London Road towards the Shell garage. Police would like to speak to this man as he may have information which could help with the investigation. Anyone with information can contact Det Con Bruce Wilson via the 101 number.